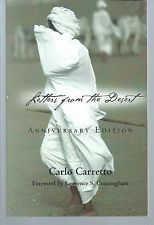 “One of my favorite writers is Carlo Carretto, a member of the Little Brothers of Jesus, a community of desert contemplatives. In his book Letters from the Desert, Carretto recounts the fruitfulness of his ten years in the African Sahara. 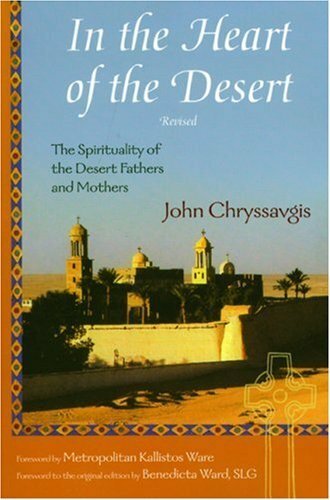 He relates how he found his vocation to live in the desert, and what this experience meant for his life as a Christian. While working for the Catholic Action movement in Italy, Carretto felt a strong desire to lead a contemplative life and served others in the spirit of Charles de Foucauld. 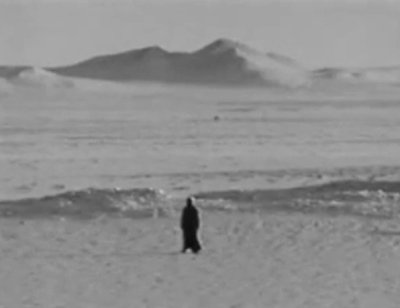 He felt God’s call in the depth of his being, “Leave everything and come with me into the desert. 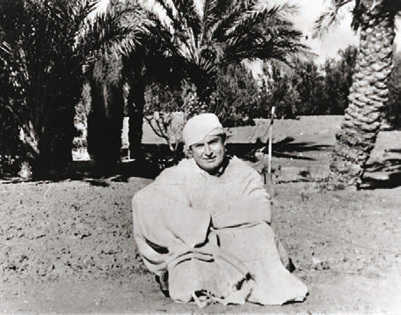 It is not your acts and deeds that I want; I want your prayer, your love.” As a contemplative, Carretto recognized that the desert was the most challenging experience of his life, but also the most fruitful, for the desert ignites the purification of the senses, thoughts, soul, mind, and heart. Wandering in the desert, Carretto often pondered on the experience of Jesus in the wilderness, how “the Spirit drove Jesus out into the desert, where he remained forty days and was tempted by Satan” (Mk. 1:12). In the wilderness, both Jesus and Carretto experienced the God of life, the presence always present that stirs us to love and service. Just as it happened to Jesus and to Carretto, the Spirit drives us to retreat to the desert—to our desert. When we think of a desert, our minds might first go to the geographical deserts of the world—long stretches of sand with clumps of date trees in oases scattered here and there. Most of us are not blessed with that experience; we are invited to experience the spiritual desert of our lives. For Jesus, going to the desert was a period of preparation before he began his ministry. There, he faced temptations to power, prestige, and pleasure. For most of us, the desert is a place away from the pace of our busy life where we can connect more deeply with the God of life. The desert is a place to meet God, a place to be vulnerable and powerless, and a place of yearning, silence, and prayer. The Spirit drives us to that place where we can empty ourselves in order to tell Jesus: fill me with Yourself alone. In the desert of our lives, the Spirit of Love moves us to take time for prayer, penance, and reconciliation. In the wilderness, God invites us to remove those aspects of our lives that keep us from living life to the fullest. Like peeling the layers of an onion, we remove all that makes us prisoners of sin and confines us to the expectations that the world places upon us. As we peel each layer, the heart, the essence of our being, is revealed. The desert is a place of self-abandonment, where our entire self can breathe Jesus—and Jesus alone. “Carlo Carretto (1910 – 1988) was a member of the Little Brothers of Jesus, an order inspired by the spirituality of Charles de Foucauld. He was born in northern Italy and wanted to become a teacher. But his plans were upended by the rise of fascism in his country, and he joined Catholic Action, a movement that aimed to mobilize the laity in promoting the religious and social message of the church. “To Saint Antony, the desert represented leaving the world, including father, mother, brother, sister, wife, possessions, land, and money. This also means emptying a man of all the human factors which hamper the shift from a life after the flesh to a life after the Spirit. It means moving from what is human to what is divine. Characteristic of Saint Antony, it is a spontaneous simplicity, flinging oneself into God’s arms. The desert, as I have lived it out, has two faces: a hard, desolate, deadly face which appears when God’s face hides, and a face of paradise which is like the Garden of Eden with its joys that gratify the soul and comfort it. Man lifts his heart and eyes from earth to heaven and feels the presence of God. The awe of God overwhelms him, and he forgets himself, his existence, and the whole world. Being alone and unarmed, when the night descends and darkness covers the whole surrounding sphere in awesome silence, the natural thought of the flesh is to imagine the wild beasts. Trembling fills the entire body, but just as soon, the sense of faith appears, faith upheld by grace and preserving power, and dispels any signs of darkness from within and from without. 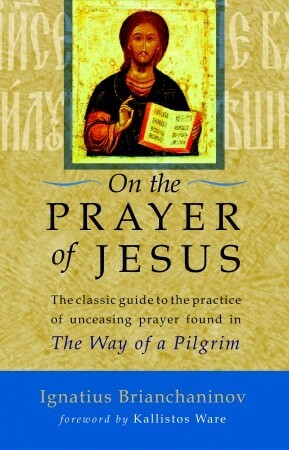 Nothing brings man through this inevitable and repeated conflict except resorting to the vigil of the night in prayer. In this, the nature of prayer differs greatly from every other kind of prayer performed within closed doors and under the safety of roofs. It begins in the spirit of crying to God for help. Then grace takes the soul in quiet confidence, assuring it that it is kept by the hand of the Almighty. Immediately, the soul breaks out in praise and gladness as it feels sustaining power, as if man is surrounded by an army of angels. In this prayer, the soul is greatly lifted up and continually soars as it gazes upon the gracious favors of God to all the saints who have preceded it in the way. Eventually, the soul loses all feeling of terror, fear and illusions, and enjoys the feeling of closeness to God, resting like a weaned child on its mother’s breast. The negative element decreases as the experience is repeated night after night. After a while, man moves from terror to the feeling of closeness to God as he spends all night, whether in fervent prayer, singing and rejoicing, contemplation or writing. Finally, all effort is spent, and the body reclines to take its share of rest. 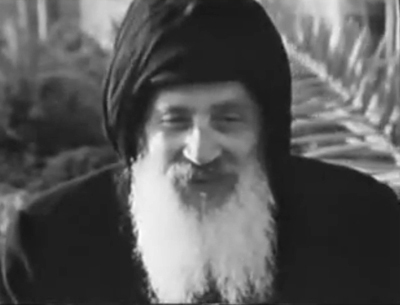 The site http://www.spiritualite-orthodoxe.net/vie-de-priere/index.php/matta-el-meskeen-orthodox-teachings is an excellent resource for on-line access to the writings of Father Matta. “Ascetical theology is the study of the spiritual life or the study of the way of perfection. Classically, it traces its roots to the early fathers and mothers (desert and otherwise), but has been practiced by Christians of different stripes since the beginning. 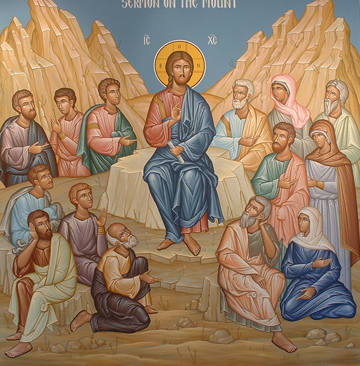 It could be said that our Lord Himself outlined the foundation principles of ascetical theology in the Sermon on the Mount (Matthew 5-7). Here Jesus makes it plain that the spiritual life cannot be limited to outward behavioral conformity, but must include a transformation of an individual’s inward disposition. Murder and adultery can – spiritually speaking – be committed in the heart, with words, as well as in the body (Matthew 5:22-3, 28). Ascetical theology, like modern expressions of Christian psychology, takes seriously the notion that our inward and outer lives matter to God and that by the power of the Holy Spirit, each can of us can be transformed, inside and out (Romans 12:1-2). The Rev’d Canon Dr. Kevin Goodrich, O.P., is the Third Master of the Anglican Order of Preachers (Dominicans). 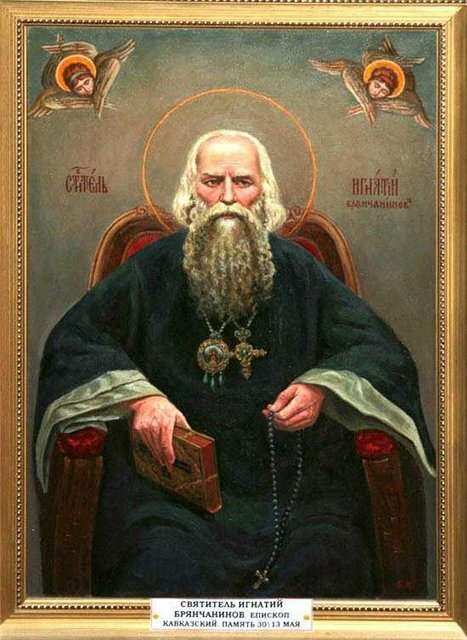 April 30 is the Commemmoration of Saint Ignatius Brianchaninov (1807-1867), Bishop of the Church of Russia and ascetical writer. “St. Ignatius Brianchaninov was born Dimitri Alexandrovich Brianchaninov (Дмитрий Александрович Брянчанинов), on the February 15, 1807, in the province of Vologda, the son of an aristocratic landowner. Intellectually gifted, peaceful and reflective by character, from early childhood he was drawn to a life of prayer and stillness. However, his father planned a military career for Dimitri, and so, when Dimitri was 15 years of age, his father enrolled him in the Imperial School of Military Engineers in St. Petersburg…. In 1826, Dimitri fell gravely ill, but nonetheless graduated first among all candidates at the School of Engineers and received his commission. Immediately, Dimitri attempted to resign this commission, but his resignation was refused on orders of Tsar Nicholas. However, in 1827, Dimtri became critically ill once more, and this time his resignation was accepted by the imperial authorities. 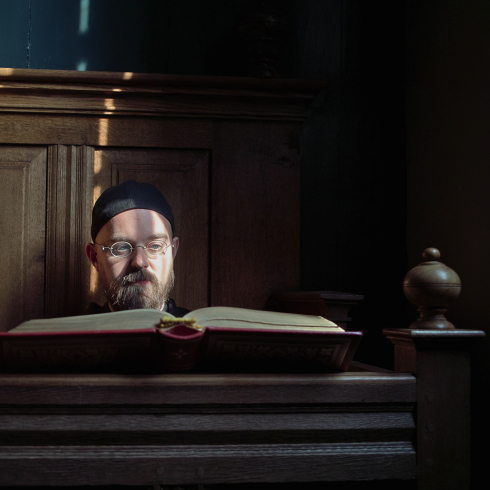 During the next four years, Dimitri lived as a novice in various monasteries, without settling permanently in any of them, partly because of ill health, and partly because he failed to find a spiritual father in whom he could place unreserved trust. For the remainder of his life, St. Ignatius would lament the scarcity of true spirit-bearing elders in his day. 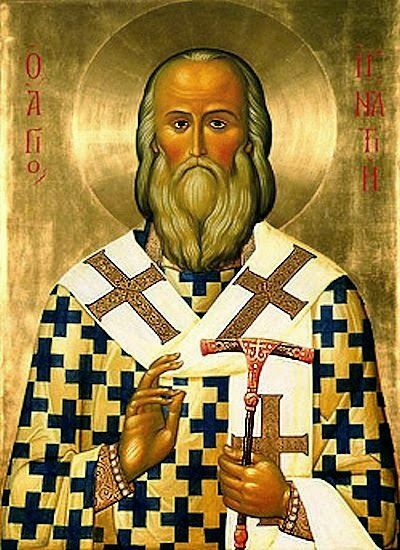 Finally, in 1831, Dimitri was professed monk by the ruling hierarch of his home province, Bishop Stephen of Vologda, and he received the monastic name of “Ignatius.” Shortly after that Monk Ignatius was ordained deacon, then priest. All this took place without the approval of his parents. 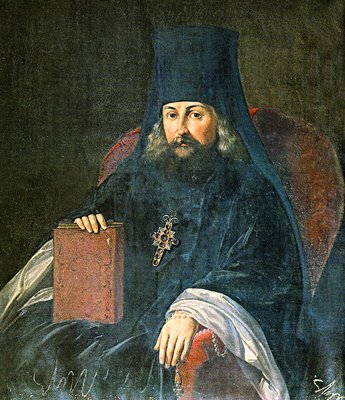 In 1832, Hieromonk Ignatius was appointed superior of a small monastery in the Vologda diocese. However, the damp climate brought about ill-health which quickly forced his resignation. Then, in autumn of 1833, the most unexpected thing happened. Tsar Nicholas, during a trip to the School of Military Engineers in St. Petersburg, enquired into what had become of the promising student Dimitri Alexandrovich. Upon learning of his monastic profession and hieratic ordination, the tsar ordered Hieromonk Ignatius to return to the imperial capital, where, aged 26, he was raised to the rank of Archimandrite and made igumen of the St. Sergius Monastery, one of the most important in St. Petersburg, and one which enjoyed great imperial patronage. Tsar Nicholas entrusted Archimandrite Ignatius with the task of transforming this monastery into a model community, where visitors to the Imperial Court could see monasticism as it should be. 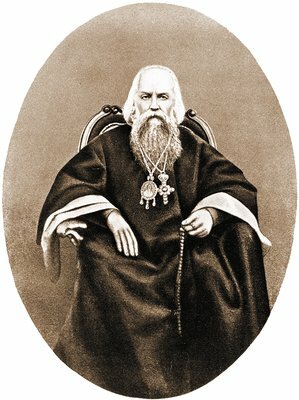 In 1857 Archimandrite Ignatius was elevated to the episcopacy, to serve as Bishop of the Caucasus and Black Sea. 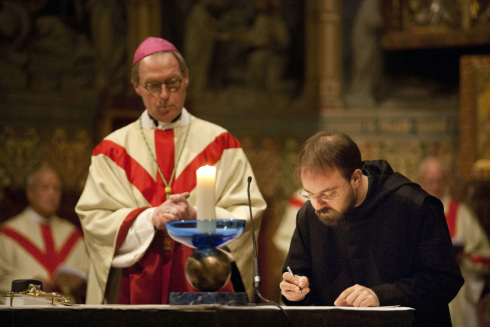 After four years of episcopal service, Bp. Ignatius submitted his resignation in 1861. The resignation was accepted, and Bp. Ignatius was allowed to retire to spend the remaining six years of his life in seclusion at the Nicolo-Babaevsky Monastery of the Kostroma diocese, where he devoted his time to writing and a wide correspondence with spiritual children. He reposed in the Lord on April 30, 1867. 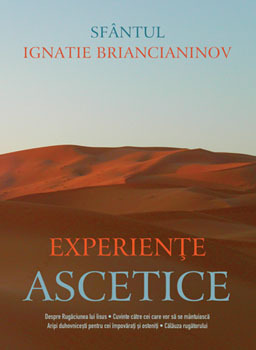 Experiences from the Ascetic Life is a work of singular importance. “This is not my work,” affirms the hierarch, “that is why I am able to talk about it so freely. 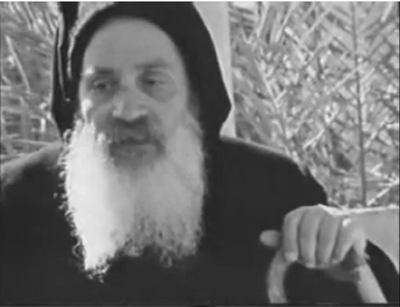 I was only the instrument of God’s mercy towards contemporary Orthodox Christians in desperate need of a clear exposition of the principles of Christian struggle”… Experiences may be read in place of the Philoka1ia as being more understandable. 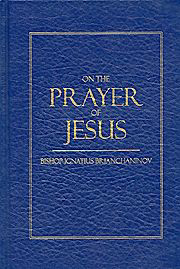 The best known English translation of a work by Saint Ignatius Brianchaninov is that on the Jesus Prayer: “On the Prayer of Jesus”. This has gone through and remains available in many editions. 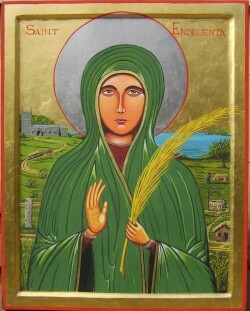 “ St. Endelienta was one of the many daughters of King & Saint Brychan of Brycheiniog. She may be identical to his daughter called Cynheiddon or Cenheidlon in Welsh records. This latter lady lived at Llangynheiddon in the parish of Llandyfaelog near Cydweli (Kidwelly). From South Wales, Endelienta crossed the Bristol Channel to join her siblings in evangelising North Cornwall. 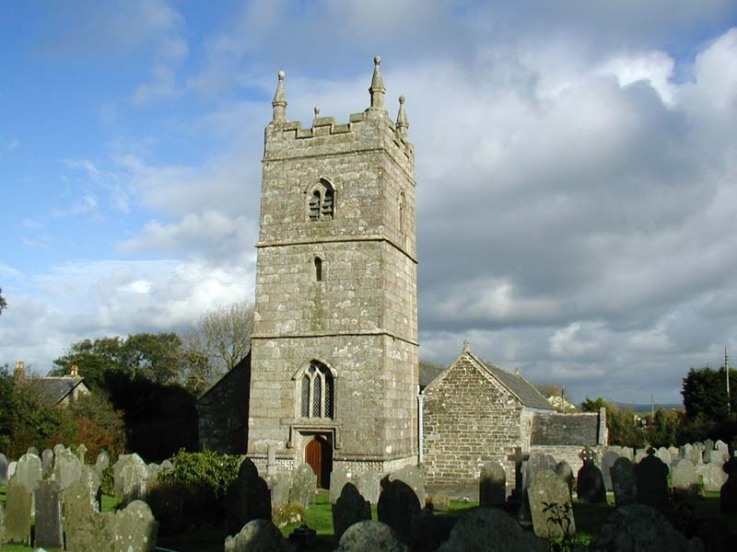 Endelienta probably landed first on Lundy Island, where she founded a small chapel (later mistakenly rededicated to St. Helen), before moving on to stay with her brother, St. Nectan, at Hartland. She chose to settle at a place called Trenteny, just south-west of St. Endellion, but still used Lundy as a retreat for meditation. Up until the 16th century, a chapel dedicated to her survived at Trenteny and it was in an adjoining hermitage that she lived a very austere life, with only a cow for company and its milk and the water from her two wells for sustenance. Her sister, St. Dilic, did, however, come to live at nearby St. Illich and the two would often meet along a certain path whose grass would ever afterwards grow greener than elsewhere. Years later, St. Endelienta had a vision of her impending death. So she called her friends together and instructed them in her last wishes. She asked that, after her death, her body be lain on a cart, yoked to two unguided bullocks and that they be left to take her wherever they liked. 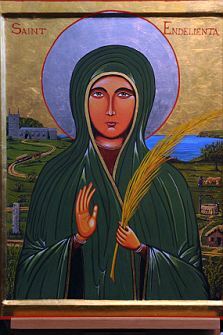 St. Endelienta died, apparently martyred – perhaps by Saxon pirates – on 29th April, sometime in the mid-6th century. The young beasts were set to work as she had instructed and they brought her body to rest amid a quagmire on the top of a nearby hill. There, she was buried and a fine church built over her grave, where the church of St. Endellion now stands. 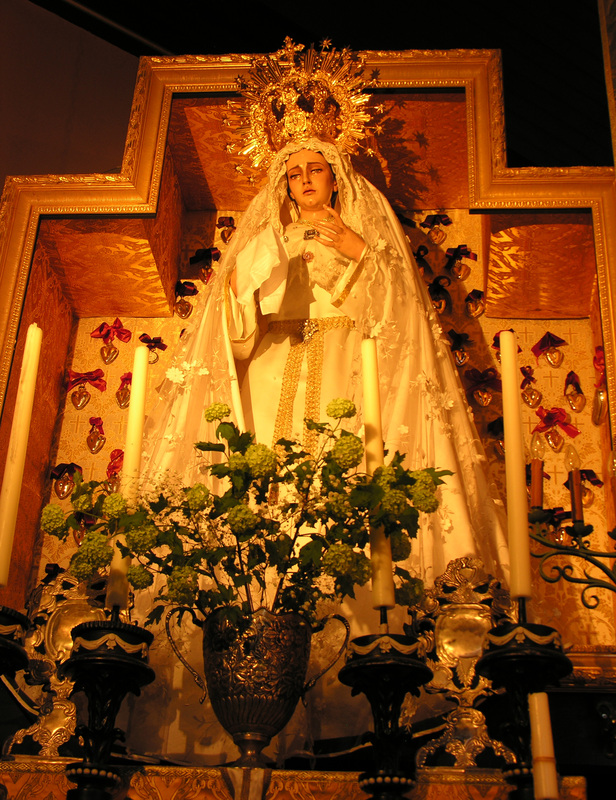 “Our Lady of the Garden Enclosed is a Roman Catholic Hermitage; a little dwelling adjoining a chapel, in which a hermit (a solitary monk) lives. Since 2001, this hermitage has been located in the old heart of the Groninger village of Warfhuizen, in the far north of the Province of Groningen. Daily life in the hermitage is in many ways similar to that of monks and sisters (‘nuns’) in monasteries. Such a life always consists of alternating work and prayer. Multiple set prayer times dictate the rhythm of the day. Often there are eight of these: Matins at night, Lauds and Prime in the morning, Terce, Sext and None during the day, Vespers in the early evening and Compline before bedtime. 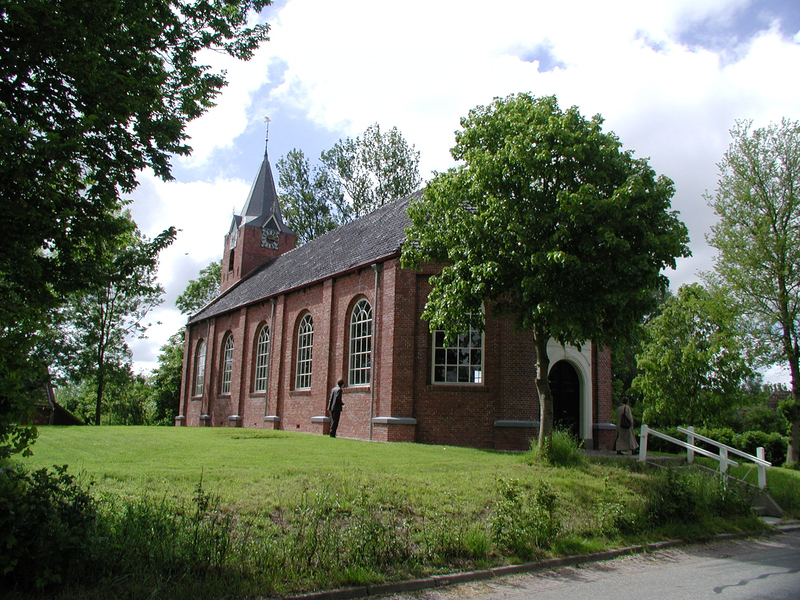 In Warfhuizen the somewhat older format of St. John Cassian is used. There are long vigils in the morning and evening, and the other hours are prayed in silence by the brother and concluded with a sung prayer (a so-called ‘litany’). The purpose if these prayer hours is to consecrate the various times or hours of the day to God. That is why it is called the Liturgy of the Hours. Such a religious existence of prayer and reflection is also called contemplative, in contrast to religious who have the primary duty of pastoral care, care for the sick or education, who are called active religious. The word ‘hermit’ derives from the Greek word ἔρημος, which means solitude, desert and alone. A male or female hermit is therefore a monk or monastic who lives alone, outside of a monastery. The first hermits found that silence, solitude and moderation in food and drink formed a good basis for prayer. By distancing themselves from the affairs of every day they were able to better direct themselves to God. 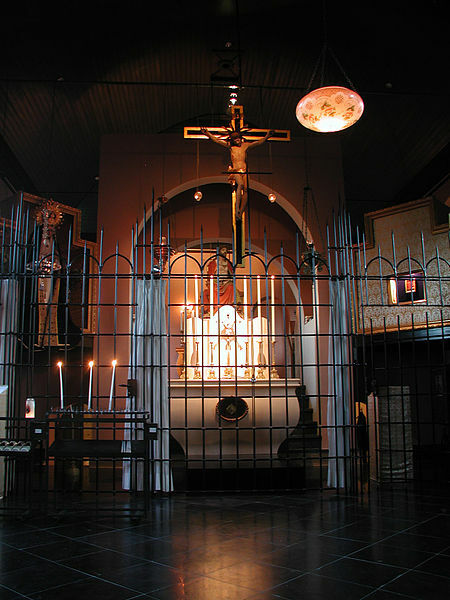 Unlike a standard Catholic church building the chapel of the hermitage is divided in two by a so-called cloister fence. This fence divides the space of the church in a public part, the chapel, and a separate section, the actual hermitage, Behind this fence the hermit leads a sequestered life of prayer, study and manual work. “The community of Solothurn has placed a job advertisement for a local hermit to continue a 600-year-old tradition. But this time, they are looking for someone who’s sociable enough to get along with curious tourists and locals. 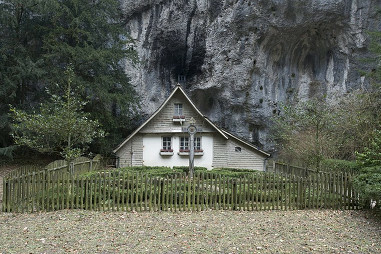 “North of the city of Solothurn Switzerland, in the tranquility of the Verena gorge, lives a hermit. The gorge is luscious with ferns and moss blanketing the majestic boulders … and in the winter, blanketed in quiet snow. A mountain stream cuts through the landscape, and a secluded path leads you toward caves and coves that make it possible for you to believe in fairies. Although, this isn’t really a stretch. You have believed in fairies since the age of four—but this magical spot emphasizes your belief like an exclamation point. 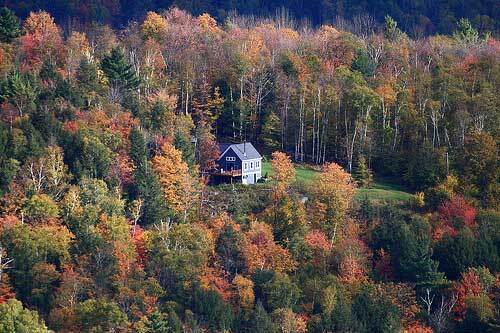 You fantasize about becoming a hermit yourself someday. However, this isn’t a stretch either. Ever since you heard the news about Martha Stewart going to prison, you have imagined jail as some sort of dreamy, far-away refuge meant only for the most privileged. In prison, you imagine … you would have simplicity: One bed. One book. One pen. You would have uninterrupted time to think, and write and dream. You would have hours of solitude. Nobody would expect anything from you, because you would be in prison. Social obligations? No longer an issue—not when you are behind bars. You would be left alone. However, now that you have seen prison reality shows, you have changed your tune. One show featured a female inmate fashioning a maxi-pad across her eyes like a sleep mask … “Because they never turn the lights off on the inside,” she said. And Rod Blagojevich’s fifteen-year separation from his family doesn’t exactly seem like the stuff dreams are made of. Plus, now that you know ‘hermit’ is a viable option—all the better. In order to be a hermit in Solothurn Switzerland, you must first endure a rigorous application process. The potential hermit must have some sort of resume that highlights qualifications for hermitage. You wonder what these requirements are. “Does not play well with others,” or “Likes to spend long hours prostrate in prayer,” are likely traits. 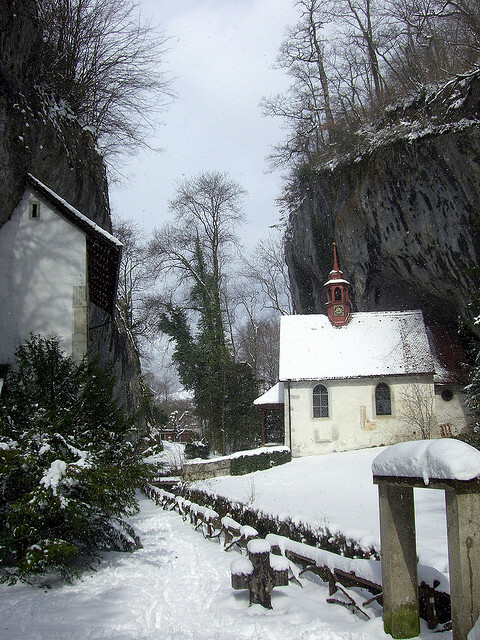 Word has it that the Solothurn hermit must have a skill, craft or trade … something he or she can do to help pay room and board. This skill must be useful, like candle-making, yet it cannot involve too much human interaction. The town’s current hermit is the first-ever female. You are proud of her … “GIRL POWER” and all that. She makes soap and sells it at a shop in town. You suppose an online business would be too robust according to the rigid, Swiss townspeople. You also suppose the hermit doesn’t have wireless. Heck. She may not even have electricity. Maybe this hermit thing isn’t so terrific after all. You are currently browsing the Citydesert blog archives for April, 2014.